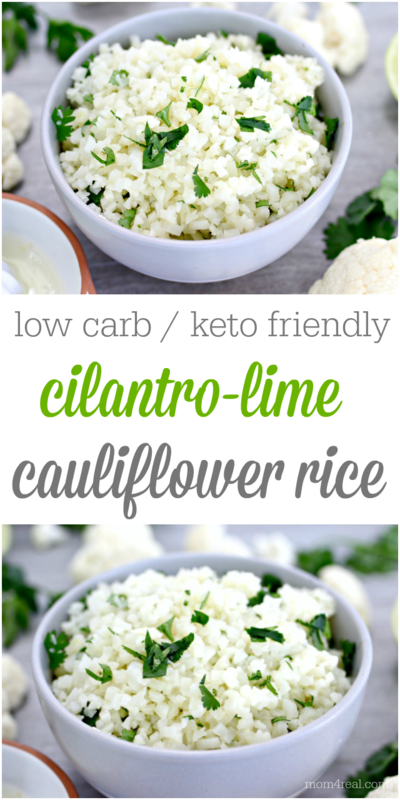 If you are living the low carb or Keto life right now, then this Low Carb Cilantro Lime Cauliflower Rice is about to be your new BFF! It’s so easy to make and the perfect substitution for rice! I have to be completely honest with you. The first time I tried cauliflower rice, I was not a fan…at all. The promise that it tastes just like rice is a bit of a stretch. The key to making cauliflower rice work as a rice substitute is all in the seasoning. 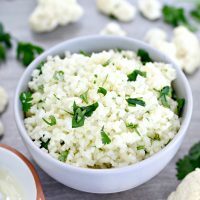 Once I started playing around with seasoning the riced cauliflower, I discovered that it was indeed delicious and promptly added it to our lunch and dinner rotation! One of my family’s favorite places to eat at is Chipotle, and a couple of years ago, I shared my Chipotle knock-off Cilantro Lime Rice. While it is still a family favorite, I decided to try making Cilantro Lime Cauliflower Rice for those days when I am low carbing it. You guys, it’s soooo good and you only need a few ingredients to make your own! 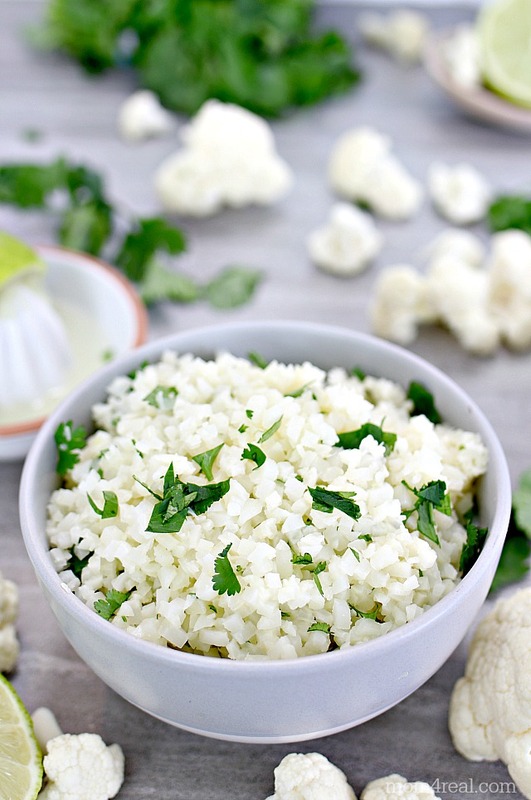 What’s in Cilantro Lime Cauliflower Rice? If you’d like to rice your own cauliflower, you’ll need a head of raw cauliflower. Cut the cauliflower into smaller pieces. Place the pieces of cauliflower into a food processor and pulse several times until the cauliflower is the size of rice. If you don’t own a food processor, you can either use a hand grater or a sharp chef’s knife to cut your cauliflower into really small pieces. Sauté in 1 tablespoon of oil or butter for about 5 minutes. Strain any excess liquid off of your cauliflower rice. I prefer to use riced cauliflower from Costco. The cauliflower is already riced and frozen. I just pop it in the microwave and strain any moisture out before adding my additional ingredients. Riced cauliflower can be found at most grocery stores in the freezer section near the frozen broccoli. Now, let’s kick that cauliflower rice up a notch and add some flavor! Get the recipe below! cook riced cauliflower and strain off any excess moisture. Add butter and lime juice and stir together. Serve warm with tacos, burritos, burrito bowls and more! 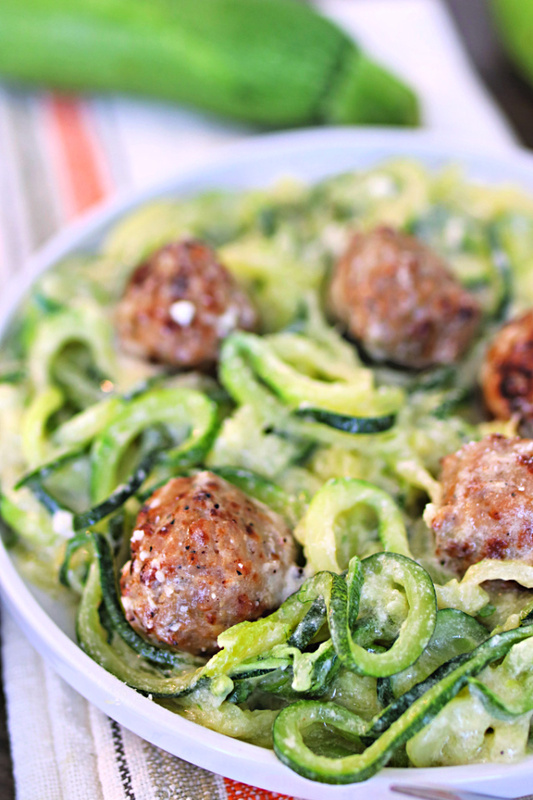 These easy Zucchini Noodles Alfredo with Chicken Meatballs are low carb, but super filling and full of flavor! 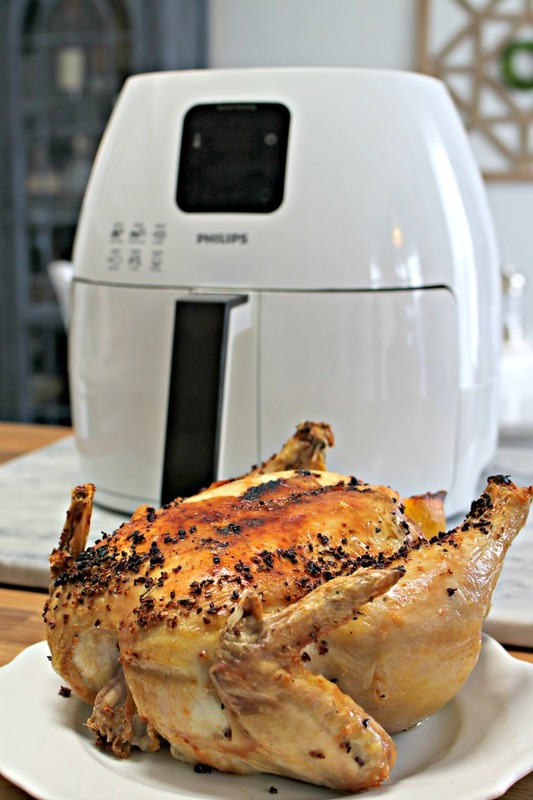 If you have an air fryer, you can make Air Fryer Roasted Chicken in no time! It’s packed with flavor and will feed your whole family! You can even shred the chicken for salads, sandwiches, soups, tacos and more!